Les Allusifs is a small business that publishes fiction works from European and North American writers. The editor’s innovative artistic direction distinguishes its works from those published by more commercial editors. 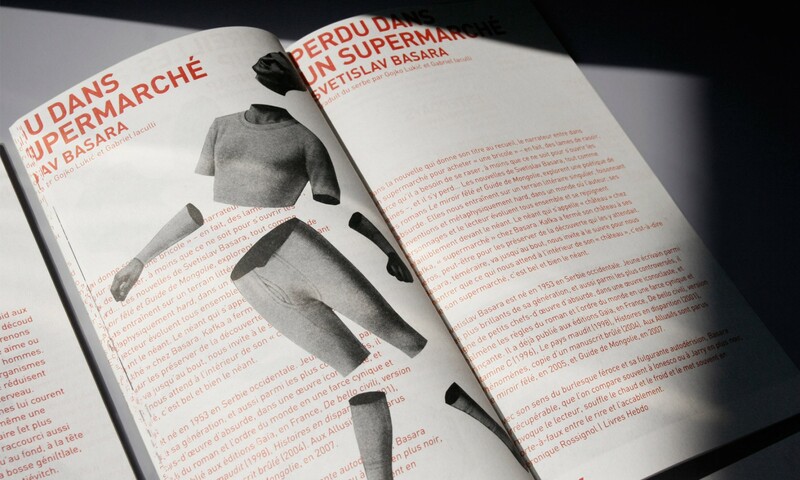 Les Allusifs appointed Paprika to design its extensive catalogue. To achieve this mandate, we chose collage illustrations from the novels’ covers so as to create dynamic page layouts which give illustrations all the desired freedom: they casually wander across the text and beyond the allocated frame, thus treating themselves to many fantasies. To tie the publishing house’s literary works together and add a touch of intensity to its audacious catalogue, a corporate red was also used.